LibreERP is a fork of the well known Odoo software. This fork removes odoo trademark references, as it seems we can’t create a package with odoo name. So, the goal of this debranding is to be clear that this package is not created and maintained by Odoo SA. After installation you can login with “admin” user and the password you specify during the app installation. This package add a swapfile by default. LibreERP is a complex app, be sure you know what you are doing. Don’t forget to setup regular backup. If you are not sure of what you are doing, there is a lot of professionnal that are able to help you. For people living in France: I (ljf) own my own company, reflexlibre.net , and I can help you in your project with LibreERP and/or yunohost. YunoHost documentation: to be created ; feel free to help! If you create big report the nginx configuration could break the connexion before you get your report. How can I effectively report a problem and ask for help? Please do your pull request to the testing branch . 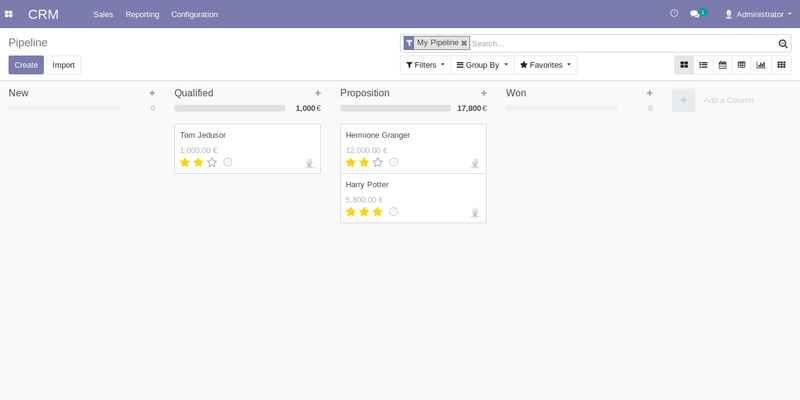 Odoo for Yunohost (ERP and business apps)! Warning:   libreerp's script has encountered an error. Its execution was cancelled. Warning: /etc/libreerp/main.conf wasn't deleted because it doesn't exist. Warning: /etc/nginx/conf.d/store.vincentux.fr.d/libreerp.conf wasn't deleted because it doesn't exist. Issue: "Mauvais nom d'utilisateur ou mot de passe"
Tu as bien utilisé “admin” comme nom d’utilisateur ? what is libreerp main webpage? The installation is failing. I have not seen the detailed code. But it looks that manifest is not asking for username. 31105 WARNING   libreerp's script has encountered an error. Its execution was cancelled. 31107 DEBUG ! Helper used in legacy mode ! @Ioan There is no LibreERP main page for now, just the package repository. @kanhu It was a bug since 3.4.2, i had fixed it the last week in testing branch, and i just release in stable now.